Allergy whether respiratory, food, skin or drug, causes compromised life quality. Food allergy, either real or perceived, leads to unbalanced nutrition and failure to thrive. These disorders also have high impact on psychosomatic growth of a child. Appropriate diagnosis and management of allergic diseases is the need of hour. 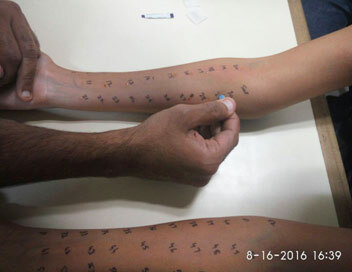 In India, various types of allergic manifestations are on the increasing trend. This could be contributed by allergen diversity in this part of world as we are blessed with enormous flora and fauna. Managing these types of disorders is going to be the future challenge. Better diagnostic and therapeutic modalities are required with allergen avoidance as the primary key for effective management. Allergic March – The clinical manifestation of allergies changes over time for e.g. peanut allergy may present with eczema in infancy and with respiratory or gastrointestinal symptoms later on. Allergic rhinitis and Asthma – these are quite common in both children and adults. Indoor allergens are playing major role as compared to outdoor allergens. House dust mite, Cockroach, fungal spores and certain pollens are the most common allergens responsible for rhinitis and asthma problems. Food Allergy – Milk, Egg, Peanut, Tree nut, Soya, Wheat, Fish and Shell fish are the most common food items responsible for 95% of all food allergies. Children usually outgrow with milk and egg allergy by 5 years of age and with wheat and soya allergy later but other allergies usually continues in adulthood. Eczema – the most common cause of early childhood eczema is allergy to certain food items e.g. milk, egg, peanut or soya. 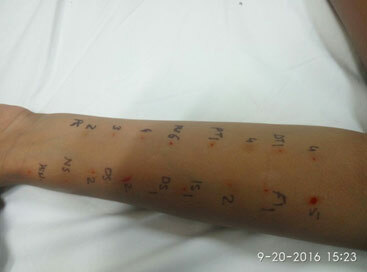 Apart from supportive treatment for this skin condition, culprit allergen should be appropriately addressed. Drug allergy – Mild adverse reactions perceived after drugs or vaccines are often confused with allergies. Drug allergies are less common than perceived. Particular patient should be carefully evaluated with history and diagnostic tests. Miscellaneous – Latex, insect, occupational and many other allergies also occur. History is the most important clue for diagnosing allergies and allergen identification. 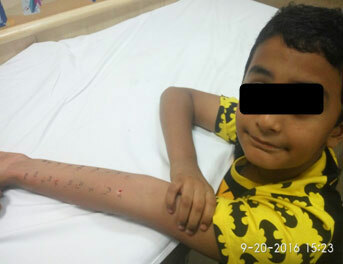 Various blood and skin tests are available to identify the culprit agent. 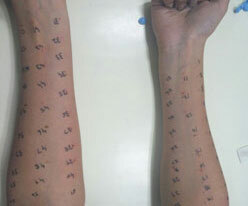 Allergen selection is the key to identify the correct offender for the particular patient. Allergen identification helps in selective avoidance and immunotherapy. This test is pain and blood free. It has now been renamed as “Skin Touch Test”. This test can be done in any age group and results are available within 20 minutes. This is safe, cheap and has better positive predictive value than any other test as the reaction can be demonstrated in the patient directly without any side effects. 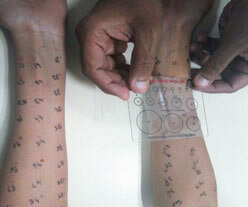 Skin tests are considered “Gold Standard” for allergy testing. The immune reactions are modified from allergenic to immune tolerance for a particular allergen. Miniscule quantities of the allergens, in gradually increasing doses are introduced in the body either by subcutaneous or sublingual route. Gradually body starts tolerating the offending allergens and the need for controller or preventer therapy is abolished. Immunotherapy is the only definite treatment available for allergies. Both subcutaneous and sublingual routes have shown good results. Patients with allergic rhinitis are maximally benefitted with reduction in symptoms, medication usages and decreased onset of asthma in this group. 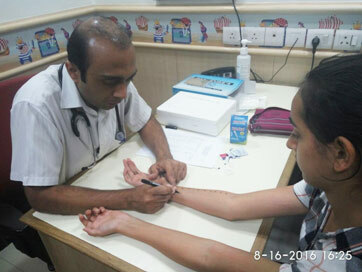 We are running “Allergy Clinic” at Sir Ganga Ram Hospital in which all facilities for allergy diagnosis and management, including “Skin Touch Test” and immunotherapy, are available.